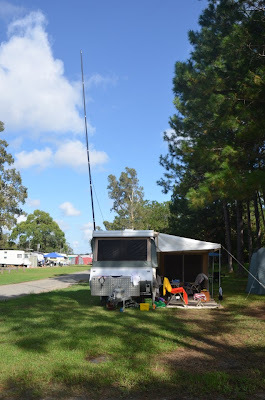 I worked them (at the time I thought easily) on 15 m a few days ago. 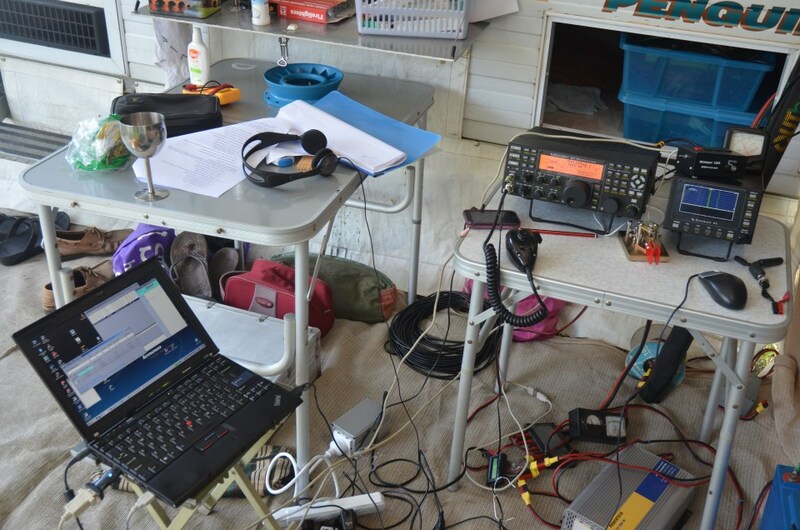 Today I thought that I'll have another QSO this time on 20 m. Oh... what a hard work. The pileup was "enormous"... "giant"... "unbelievable"... 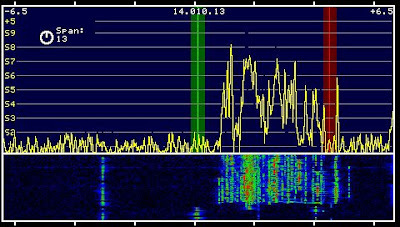 I tried to use the P3 ability to find the last station the operator was working (normally it works like a charm) but this time the "other" guys signals were drowning my little signal.. Finally after about three hours (I was not calling all that time - just waiting for a break) i got him. Thanks guys ... good operators on Easter Island. Every year on the 16th and 17th March is the John Moyle field day. 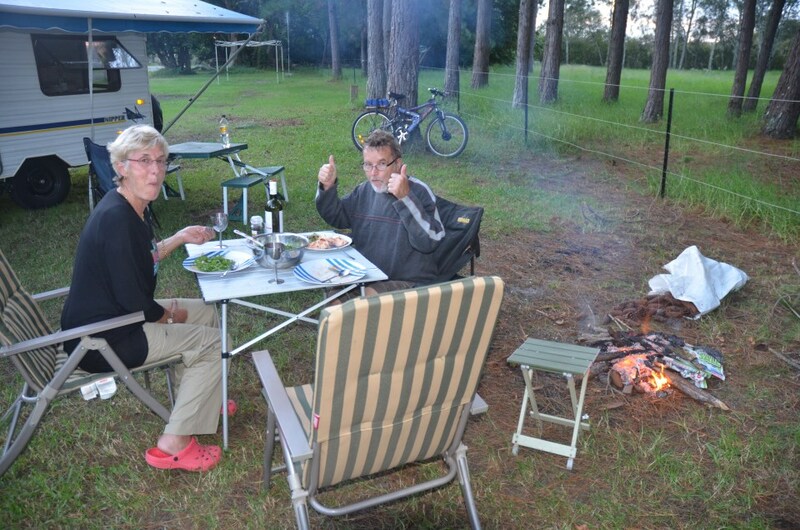 This year Horst VK2HL and I decided to got to a camping ground at the Myall River. The area is known as a bush camp with very few facilities. 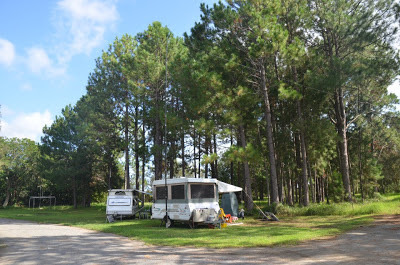 We prefer a bush camp to well organized caravan park. One can find plenty of trees to string wire antennas. 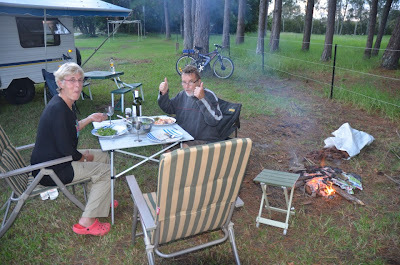 We even had a campfire and few glasses of red. This is my operating position for CW and Phone. 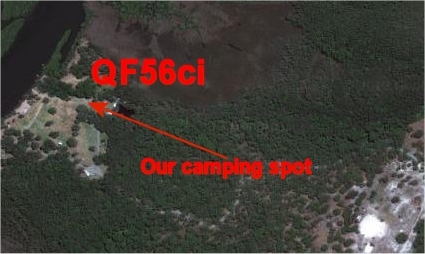 The antennas were G5RV and OCF dipole. 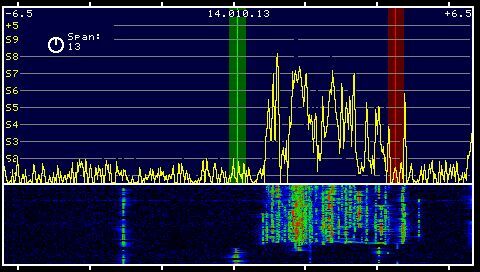 Soapbox : Had intention to operate only CW but there were very few stations working CW. Then worked some SSB to keep the interest in.